Hands down, this is the most lightweight sunscreen I have ever used. Apply liberally before going out–the result is soft, fragrance-free, protected skin with no white cast. Feels like water going on and washes off easily with a normal cleanser. 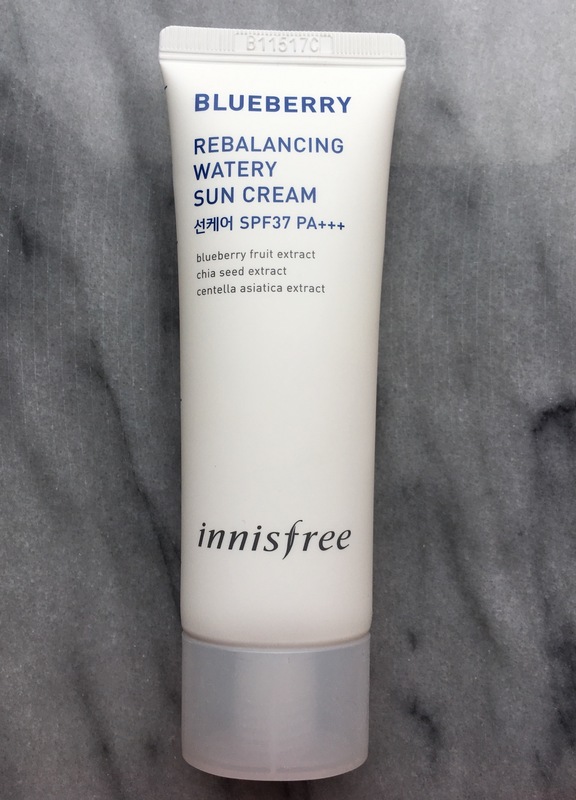 Some sunscreens double as makeup primers–this is not one of them. This is perfect for no makeup days (which is about every day for me) and if you do wear makeup over this, give it ample time to dry beforehand. Innisfree (as well as Nature Republic) is South Korea’s version of Origins. The company prides itself as being a proponent of skincare and makeup made with natural plant-based ingredients.